You had me at practical effects. And also, Lance Henriksen. That’s what I said after I first read about the independent Sci-Fi/Horror movie, Harbinger Down, a few months back. Funded primarily from Kickstarter, it’s been boasting around town (with good intent mind you) that it’s going back to the good ol’ days of animatronics, prosthetic makeup, and one of my favs: stop motion effects. And it’s about f*cking time! “A group of grad students have booked passage on the fishing trawler Harbinger to study the effects of global warming on a pod of Orcas in the Bering Sea. When the ship’s crew dredges up a recently thawed piece of old Soviet space wreckage, things get downright deadly. It seems that the Russians experimented with tardigrades, tiny resilient animals able to withstand the extremes of space radiation. The creatures survived, but not without mutation. Old school plot. Old school effects. And an old school teaser trailer to boot that you can check out below. 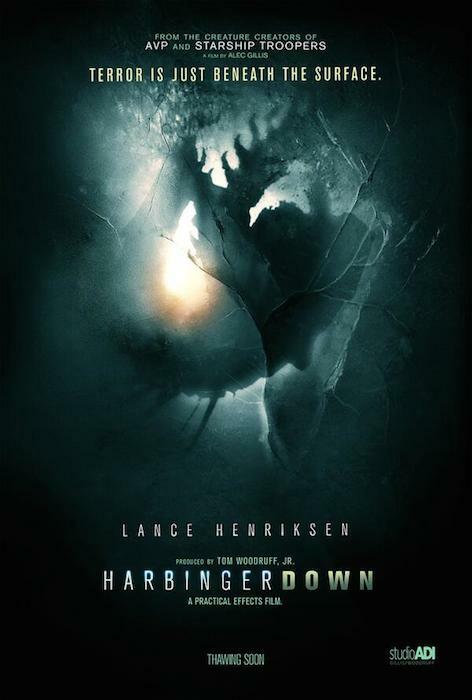 Stay tuned for more info on Harbinger Down and look for a release date soon!